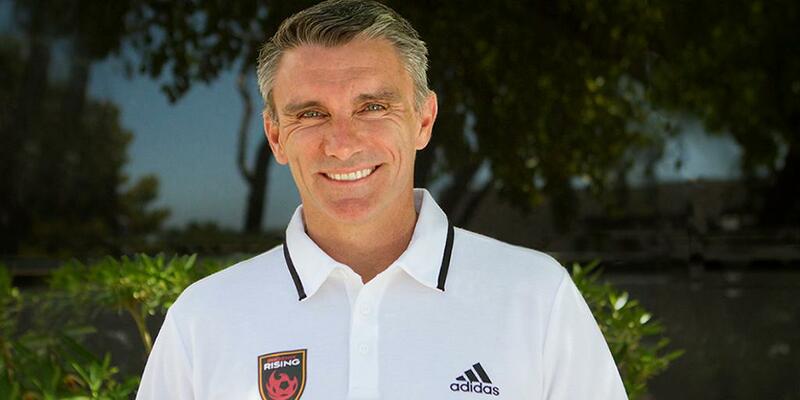 (PHOENIX, AZ) May 22, 2017 – Today, Phoenix Rising Football Club announced its selection of former Mali National Men’s Team manager Patrice Carteron as its new Head Coach. Carteron replaces Frank Yallop who resigned in April to rejoin his family in northern California. Dijon FCO was promoted to Ligue 1. Mali placed third in the Africa Cup of Nations and rose to a FIFA rank of 21. TP Mazembe won two league titles, three African Super Cup titles and one African Champions League title. Wadi Degla won 20 matches, tied four and lost only six during its 30-match season. And, most recently in 2017, Al Nassr finished third qualifying for the Asian Champion’s League. Carteron will be assuming Head Coach responsibilities from Interim Head Coach Rick Schantz and plans to join the team upon completing his responsibilities for his prior organization, which is estimated to be as early as Monday June 5, 2017. Phoenix Rising FC will return to Phoenix from its current road trip for a third round U.S. Soccer Open Cup match against San Francisco Deltas on May 31st at Phoenix Rising FC Stadium. The match will kick off at 7:30pm. Tickets are still available and can be purchased at www.PHXRisingFC.com. Phoenix Rising FC is the highest-level professional soccer franchise in Arizona’s history. Established in 2013, the club enters its fourth year in the United Soccer League, which has been awarded Division 2 status by the U.S. Soccer Federation. Major League Soccer (MLS) recently announced Phoenix Rising FC as among 12 applicants being considered for a MLS Expansion Franchise. All five of Phoenix Rising FC’s home matches that have occurred so far during the 2017 season were played before a sold-out, standing room only crowd in its new, soccer-specific stadium located at the northwest corner of the 101 and 202 freeways in south Scottsdale. For more information about the club, visit the team's website at PhxRisingFC.com. You can also follow the team on Facebook (PHXRisingFC), Twitter (@PHXRisingFC), Instagram (@PHXRisingFC), Snapchat (PHXRisingFC) and YouTube (PhoenixRisingFootballClub). For season tickets or single-game tickets call (623) 594-9606 or visit PHXRisingFC.com.